High blood pressure can lead to metabolic syndrome—a group of disorders that increases the risk of stroke, diabetes and heart disease. According to new research published in the journal Diabetologia, taking blood pressure medication at bedtime rather than in the morning can improve sleep-time blood pressure and significantly lower the risk of type 2 diabetes. A team of researchers from the University of Vigo in Spain conducted two studies to explore the impact of sleep-time blood pressure on new-onset diabetes risk. For the first study, researchers set out to investigate the value of using blood pressure to predict new-onset diabetes. Dr. Ramón Hermida and his team examined 2,656 individuals with varying levels of blood pressure and who did not have diabetes at the start of the study. The researchers followed up with the participants for an average of 5.9 years and discovered that 190 participants developed type 2 diabetes. The team further discovered that sleep-time blood pressure levels were a significant factor for the development of diabetes—with variations in blood pressure preceding rather than following the onset of diabetes. From these findings, researchers concluded that lowering sleep-time blood pressure may be beneficial for reducing the risk of new-onset diabetes. 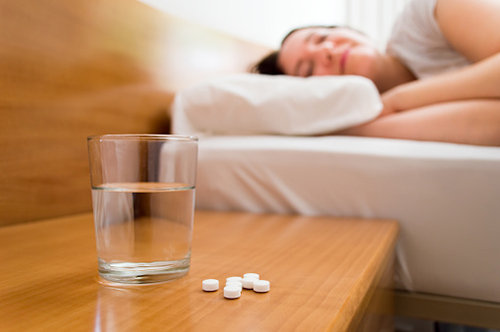 For the second study, Dr. Hermida and his team set out to determine if taking hypertension medication before sleeping was more effective at reducing the risk of diabetes than taking it after waking up. Approximately 2,012 patients with high blood pressure were assigned to either take their daily dose of hypertension medication when they woke up or at bedtime. The participants were diabetes-free at the beginning of the study and researchers tracked the development of the disease for an average of six years. During the follow-up, 171 participants developed type 2 diabetes. Participants who took the medication before sleeping had lower average sleep-time blood pressure, as well as a greater sleep-time relative blood pressure decline compared to participants who took their medication when they woke up. Furthermore, researchers discovered that the risk of new-onset type 2 diabetes significantly decreased by 57% in the group of patients who took their prescribed medication before bed. Hermida, R.C., et al., “Sleep-time BP: prognostic marker of type 2 diabetes and therapeutic target for prevention,” Diabetologia September 23, 2015, doi: 10.1007/s00125-015-3748-8. McIntosh, J., “Blood pressure medication before bed could lower risk of diabetes,” Medical News Today web site, September 24, 2015; http://www.medicalnewstoday.com/articles/299976.php.